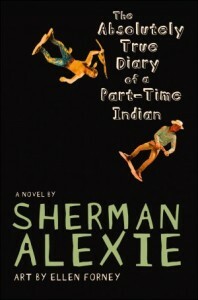 In a victory for the freedom to read, Sherman Alexie’s The Absolutely True Diary of a Part-Time Indian has been restored to the 10th grade curriculum at Alton High School in Alton, Illinois. The book was temporarily suspended pending a review committee decision, after one parent simply requested an alternate assignment for their own child. Earlier this month, CBLDF and other organizational members of the Kids’ Right to Read Project sent a letter to Alton superintendent Mark Cappel urging that the district keep challenged books available to students until the review process is completed. The Alton School District’s challenge policy is not well defined and directs complainants to follow a Uniform Grievance Procedure that is also used for myriad other issues like potential ADA violations, sexual harassment, and bullying. Due to the catch-all nature of this procedure, it does not include any safeguards for intellectual freedom in the situation where a book or other material has been challenged. According to our partners at the National Coalition Against Censorship, Alton officials have now clarified that teachers have the authority to offer an alternate reading assignment on a per-student basis without triggering a review of the primary assignment. Still, Alton should also take steps to ensure that challenged books are not removed from the classroom or from library shelves pending committee review. In the past, other school districts have learned that failing to spell this point out in policy can result in one person effectively keeping a book out of students’ hands for an extended period of time, simply by filing a challenge and then stretching the appeals process over weeks or months. In Buncombe County, North Carolina in 2015, the school board voted to change its policy after one parent’s challenge to Khaled Hosseini’s The Kite Runner resulted in the book being withheld from all Honors English II students for an entire semester. Despite the need for clarification in some policies, we are of course happy to see Absolutely True Diary restored to the 10th grade curriculum in Alton. 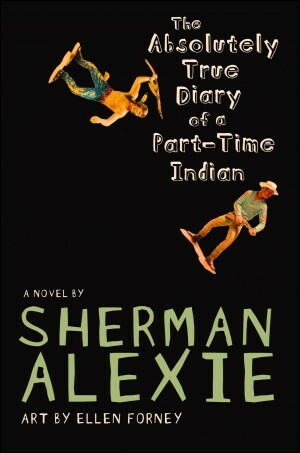 Incidentally, this marks the fifth school challenge and fifth victory for Alexie’s novel just in 2017!